Similar to the Tea Cup rides you would see at a theme park! Riders rotate their own tub to regulate the speed of their ride. 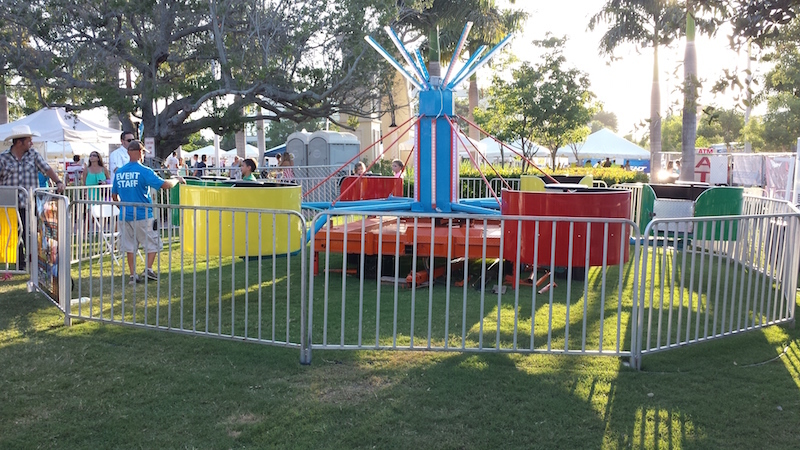 Our mechanical rides make any carnival or party better! Rides up to 12.